The Bank of England's master monetary magician Mark Carney appeared on stage this week presenting his latest magic trick one of blaming the 16% drop in sterling on Brexit on all those who voted for it, and then warning of the inevitable future inflation consequences as the price of imports look to soar. After all the establishment elite remain determined to subvert the will of the British people be they bankers or 80% of the members of the establishment MP's that illustrates that democracy is to to all intents and purposes an illusion. "We're willing to tolerate a bit of an overshoot in inflation over the course of the next few years in order to avoid (rising unemployment), to cushion the blow and make sure the economy can adjust as well as possible. Our job is not to target the exchange rate, our job is to target inflation. But that doesn't mean we're indifferent to the level of sterling. It does matter, ultimately, inflation and over the course of two to three years out, so it matters to the conduct of monetary policy." 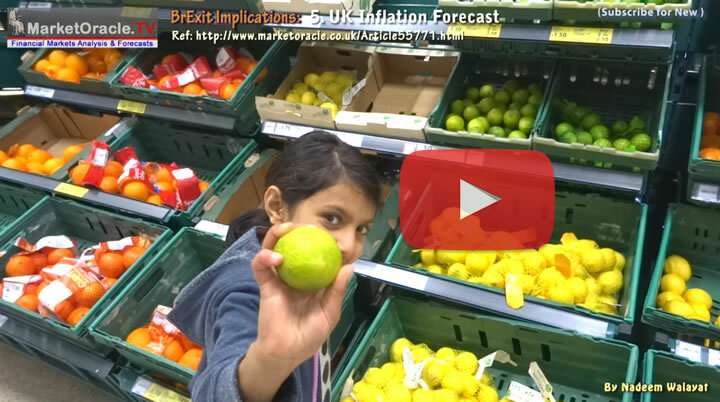 Yes inflation is going to rise as I forecast it would BEFORE the EU Independence referendum Brexit vote and in the subsequent analysis and this video in my post-brexit series. The most recent inflation release for August 2016 has seen inflation nudge marginally higher to CPI 0.60% and RPI to 1.8%, with Octobers release due on the 18th. However, this was before the latest plunge in sterling which will probably not show through in the inflation indices for a couple more months. The British Pound now having fallen by 16% against the dollar form where it was trading pre-Brexit means that Bank of England has effectively WON the currency War! that ALL central banks have been engaged in for some years, one of competitive devaluations in an attempt to export deflation and import inflation as I stated would happen long before the Brexit outcome. However, the UK winning the currency WAR is NOT primarily as a consequence of Brexit for the effect of Brexit accounts for no perhaps no more than 1/3rd sterling's drop. For the real the reason for why sterling has fallen we need to turn to the Chief Magician at the Bank of England who in his latest doom laden commentary utterly failed to mention the real cause for the drop in sterling which is the Bank of England first flooding with banks with £130 billion in the immediate aftermath of Brexit and then again printing £70 billion of QE in early August, topping it all off with slashing rates by 50% to 0.25%. That's money printing potential of £200 billion or about 11% of GDP, and THAT is the primary reason why sterling has fallen by so much and NOT Brexit, that perhaps accounts for no more than about 5% of the 16% drop. If any nation prints money to the tune of 11% of GDP and signals that there could be more to come then that WILL translate into a drop in the currency by 11% or more. Also remember that all central banks are engaged in a war to devalue their currencies so the actual impact is usually less than the headline print run would suggest i.e. probably half but coupled with an interest rate cut to 0.25% and throw brexit uncertainty into the mix then the British economy will feel the the full dose of the injection of monetary heroin, the UK economy is a monetary heroin drug addict, addicted to rampant central bank money printing that CAUSES INFLATION ! NOTE THIS ! CENTRAL BANK / GOVERNMENT MONEY PRINTING CAUSES INFLATION ! 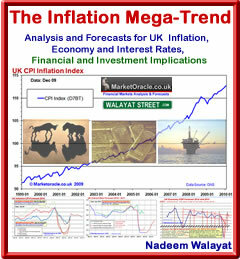 This is nothing NEW, for I have been literally banging this drum for a decade now hence the exponential INFLATION MEGA-TREND as illustrated by my January 2010 The Inflation |Mega-trend ebook that you can download for free that warned to expect money printing in the form of QE and Government debt (bonds) to inflate ASSET prices such as stocks and housing for many years to come that HAS subsequently come to pass whilst at the time the bulk of the clueless most vocal commentators were warning of debt deleveraging deflation which I warned was a RED HERRING because there would be NO DEBT DELVERAGING! So here we stand, the Bank of England's chief propagandist once more putting in a good performance for the gullible and clueless journalists to dutifully regurgitate across the mainstream financial media whilst rampant central bank and government money printing (QE & debt) inflationary mega-trend rages on that translates into further loss of purchasing power of earnings and savings whilst asset prices such as stocks and housing inflate. 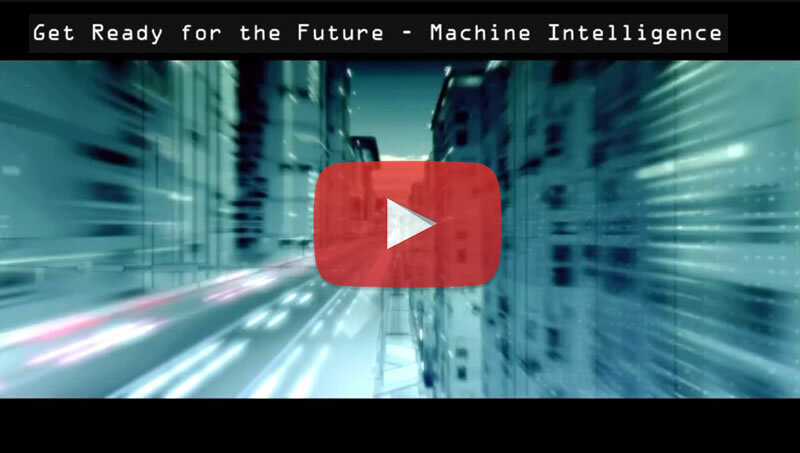 I have just kick started my latest series of videos on how to profit from the exponential mega-trend, so ensure you are subscribed to my youtube channel and free newsletter for notification of new videos in this series as human intelligence gives way to machine intelligence drivers for the exponential mega-trend.